Interest rates have begun to rise. National media outlets report there's a slight dip in the housing market. Franklin homeowners are wondering if they missed their opportunity to sell for top dollar. Franklin home buyers are wondering if they should wait until next year to purchase. prices going up in 2019 or are they going down? There's no crystal ball when it comes to buying and selling real estate. What we can tell you is real estate is local. Local to your state, local to your county, local to your city and even local to your neighborhood. That local data must be taken into consideration when deciding to buy or sell. Whatever you do, don't base it upon anecdotal evidence. Anecdotal evidence is based upon hearsay rather than hard facts. People like to share stories about things that have happened to them. They may share a story they've heard, just to make a point. That kind of talk is anecdotal; based on personal accounts. When your neighbor tells you not to sell because he knows someone whose house has been sitting on the market for months, that's anecdotal evidence. Your neighbor is making a general statement about the housing market based upon something he's heard. He's making that statement without knowing all the facts. You know nothing about how that home is priced or its condition. 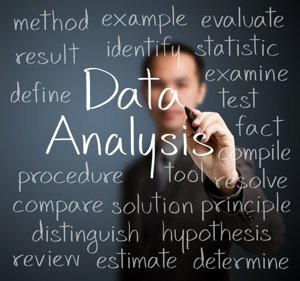 It's best to use empirical evidence when making decisions related to real estate. Empirical evidence is based upon proof or scientific research that can be verified. A Comparable Market Analysis (CMA) is empirical evidence. It's based upon recent sales data very specific to your neighborhood where homes are similar to yours in price and features. What is the empirical evidence telling us about the Franklin real estate market for October? Have home prices taken a hit in comparison to the previous year? Looking at the empirical evidence this way doesn't show much of a shift in the Franklin housing market when compared to October 2017. At first glance, a 16.4% increase in inventory appears significant. However, the absorption rate for October 2018 versus October 2017 remains the same at 3 months. Absorption rate is the number of months it will take to sell every home currently on the market if no other homes are listed. A normal or steady market is 5-7 months of inventory. Less than 5 months of inventory is a seller's market and more than 7 months of inventory is a buyer's market. Our existing single-family housing inventory in Franklin is 561 homes. That number includes existing and new construction homes currently appearing in our multiple listing service (MLS). Take that number and divide it by the number of closed home sales in October 2018 (184), which means it will take 3 months to sell every home that is currently on the market. As in October 2017, that's a strong seller's market. The average sales price did see a slight dip, but at less than 1%, it's negligible. List prices are down 1.7%, however, that number is meaningless. The sales price is really the best indicator of what current list prices should be. The sales price to list price is very good for October 2018 when compared to October 2017. This suggests sellers are pricing their homes closer to where they will actually sell than sellers did a year ago. The average days on the market has only increased by 2 days. This empirical evidence proves that inventory continues to be low and now is still a good time to sell your Franklin TN home. 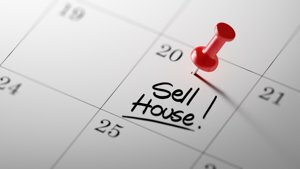 Should Other Things Be Considered When Deciding to Sell? 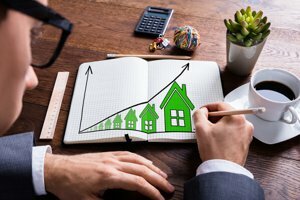 While the numbers show that Franklin is still in a strong seller's market, buyers often base their decisions to purchase on what they see happening with interest rates. Some buyers will get off the fence and purchase immediately because higher rates mean less buying power. Other buyers will think big price reductions are on the horizon. They may be willing to pay more in interest in hopes they'll get more house for their money. The truth is--it usually takes many months before you see a significant shift in the housing market, unless, something catestrophic happens in our country or the financial markets. For example, the sub-prime mortgage crisis of October 2008 really didn't have a significant impact on our local housing market until late 2009. Even then, we didn't see the worst of it until 2011. In 2012, the Franklin housing market began to rebound and has been in a strong seller's market ever since. We are experiencing the highest home prices in Franklin's history. Will home prices continue to rise? Only time will tell. We usually don't know the top or bottom of the market until we're already past it. This doesn't mean sellers can price their home significantly over fair market value. When sellers do that, they'll likely experience price reductions. Pricing a home close to the recent sold homes in your neighborhood will lead to a successful outcome. A seller's goal should always be to sell within the first 30 days. Take Advantage of This Timely Housing Market! Still not convinced that now is the best time to sell, just click the photo below to view our property valuation page. Type in your address and you'll receive your instant property report within seconds. No need to wait for a call from a real estate agent, just type in your home address and your home value will pop up. Keep in mind this is a quick valuation tool and may not take all the features of your home into consideration. For a more detailed analysis of your property, call Franklin Homes Realty LLC today at (615) 495-0752. Hi There! I'm the founder of Franklin Homes Realty LLC and the creator of the content on this website. Thanks for taking the time to read this article. Please feel free to leave a comment in the message box below, or to share this article on social media with someone who might benefit from it. I appreciate your time here on this site and am always open to suggestions and ideas from our readers. Feel free to contact me anytime at Tammie@FranklinHomesRealty.com.